as it should be. The materials are perfect." 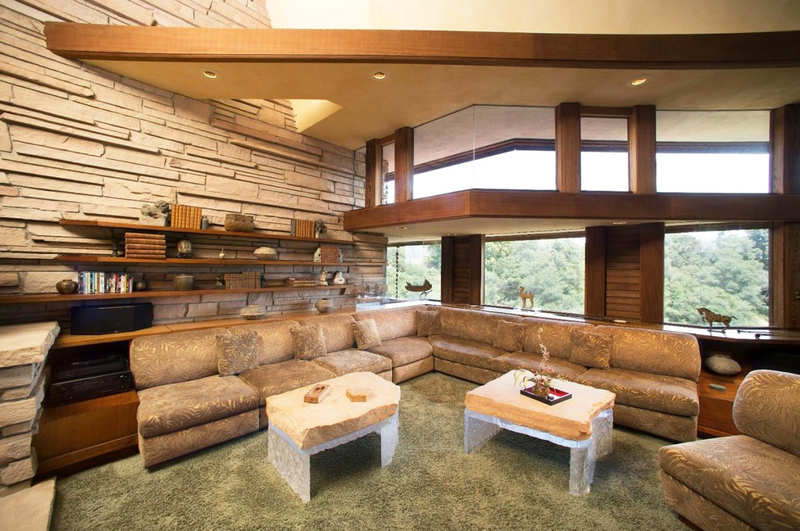 Designed by Frank Lloyd Wright's only protege/partner, a phenomenal home in Santa Cruz County just hit the open market for the first time ever in what may be the premier mid-century modern listing of the season. "It's exquisite. 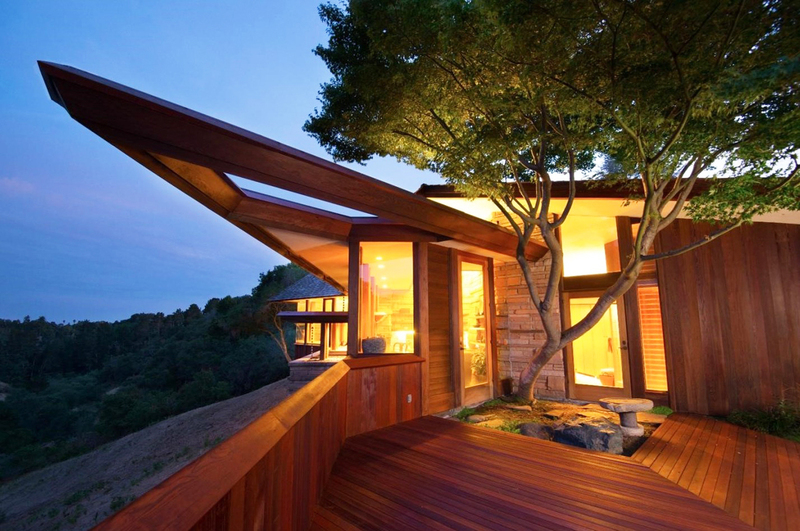 It's the best of the best of organic architecture in that realm," said Jan Novie, president of Aaron Green Associates, the San Francisco firm now based in Berkeley that grew out of the treasured body of work by its namesake. "It's on one the biggest pieces of property there, and its design is very special," realtor Monique Lombardelli said of the Ohta House in Soquel (south of Santa Cruz), which she listed recently through her Modern Homes Realty brokerage for $4.45 million. The house, at 999 North Rodeo Gulch Drive, has six bedrooms, three baths, and three fireplaces over 4,166 square feet of floor space and sits on 9.94 acres of ridgeline. Aaron Green (1917-2001) met Wright as a design student in 1938, and the master took him in as an apprentice at Taliesin, in Wisconsin. 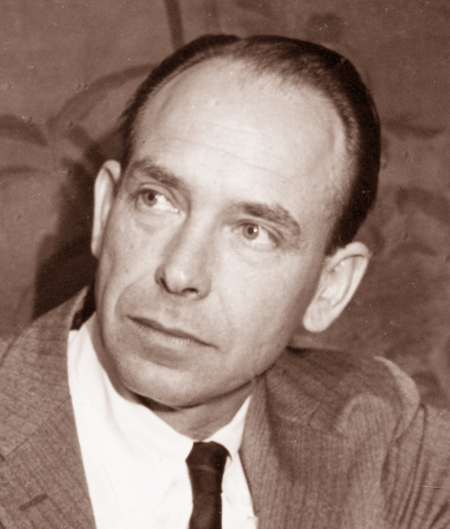 When Green moved from Los Angeles to San Francisco in 1951, Wright suggested a partnership, and Green served as his West Coast representative until Wright died in 1959. 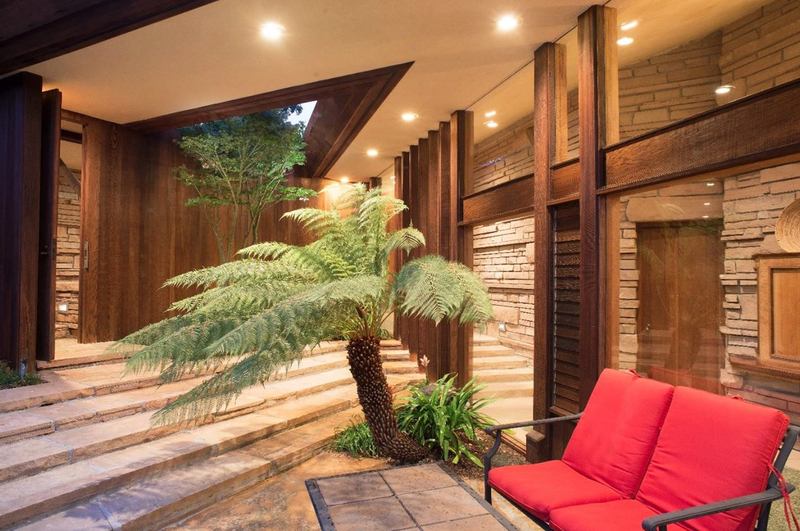 Green employed a similarly organic style as Wright in designing the new town of Marin City, numerous public structures, and more than 200 homes in a 60-year career—including one for Eichler Homes in Palo Alto. "Aaron Green's work looks very, very similar, but it's softer," said Lombardelli, who has lived in homes designed by both men. "It isn't as harsh….Green really thought about what's going to make [people] comfortable." "Aaron was a special guy. He was delightful," said Novie, who joined Green's office on San Francisco's Grant Avenue, near Chinatown, in 1964, the year before the Ohta House was built. It was rebuilt after being partially destroyed by a fire in 1970. "Aaron gave the same effort to the poorest of the poor and the richest of the rich," Novie said. "He believed deeply in what he was doing." For this house, Green reportedly had 650 tons of sandstone shipped in from an Arizona quarry, to be accented by a variety of dark woods, including redwood, ribbon mahogany, and teak, which frames the huge windows surrounding it. The house has a distinctly Asian feel, with floors of bamboo as well as stone and a Japanese garden with a koi pond outside the master bedroom.